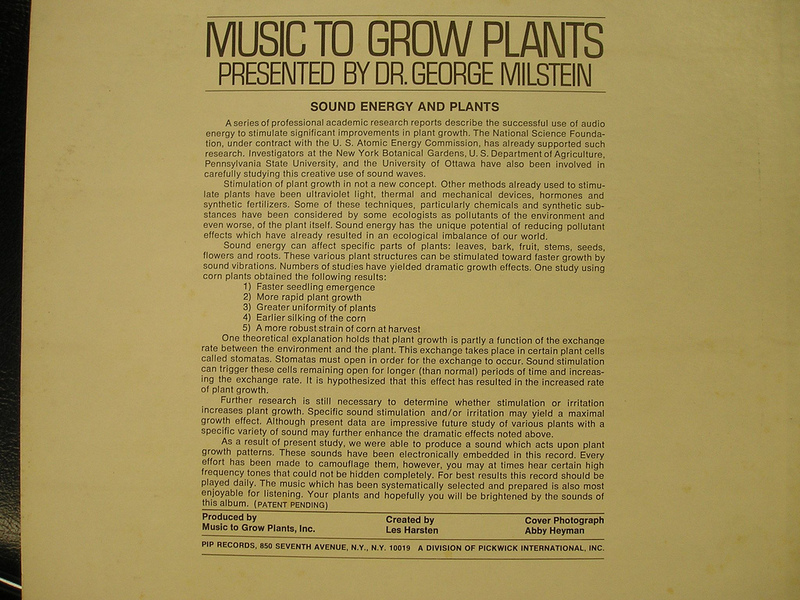 A series of professional academic research reports describe the successful use of audio energy to stimulate significant improvements in plant growth. The National Science Foundation, under contract with the U.S. Atomic Energy Commission, has already supported such research. Investigators at the New York Botanical Gardens, U.S. Department of Agriculture, Pennsylvania State University, and the University of Ottawa have also been involved in carefully studying this create use of sound waves. 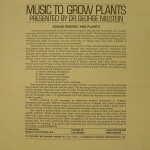 Stimulation of plant growth is not a new concept. Other methods already used to stimulate plants have been ultraviolet light, thermal and mechanical devices, hormones, and synthetic fertilizers. Some of these techniques, particularly chemicals and synthetic substances have been considered by some ecologists as pollutants of the environment and even worse, of the plant itself. Sound energy has the unique potential of reducing pollutant effects which have already resulted in an ecological imbalance of our world. Sound energy can affect specific parts of plants: leaves, bark, fruit, stems, seeds, flowers, and roots. These various plant structures can be stimulated toward faster growth by sound vibrations. Numbers of studies have yielded dramatic growth effects. One study using corn plants obtained the following results. Faster seedling emergence, more rapid plant growth, greater uniformity of plants, earlier silking of the corn, a more robust strain of corn at harvest. One theoretical explanation holds that plant growth is partly a function of the exchange rate between the environment and the plant. This exchange takes place in certain plant cells called stomatas. Stomatas must open in order for the exchange to occur. Sound stimulation can trigger these cells remaining open for longer (than normal) periods of time and increased the exchange rate. 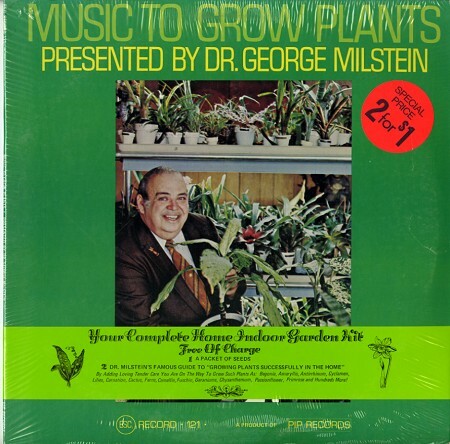 It is hypothesized that this effect has resulted in the increased rate of plant growth. Further research is still necessary to determine whether the stimulation or irritation increased plant growth. Specific sound stimulation and/or irritation may yield a maximal growth effect. 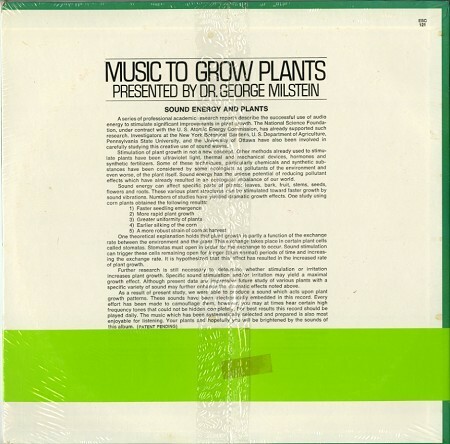 Although present data are impressive future study of various plants with a specific variety of sound may further enhance the dramatic effects noted above. Fred Gleber offers professional instruction and customized drum lessons for any level student. Serving Dallas, Garland, Plano, Carrollton & Richardson with over 30 years of experience instructing, this award winning drummer has much to offer students. Under his instruction you will learn musicality, technique, site reading, rudiments, a variety of styles, and more. 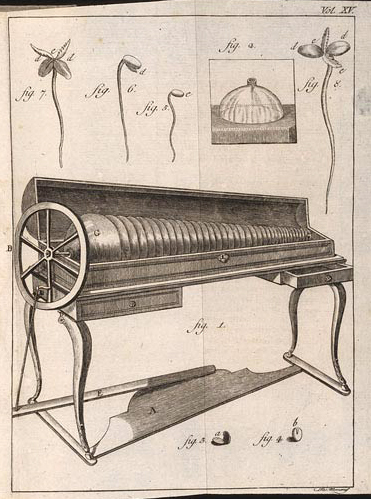 In 1761 Benjamin Franklin attended a musical recital of water tuned wineglasses by a friend named Delval. Enchanted by what he heard Franklin set out to make ‘a more convenient’ arrangement of the instrument. Initially dubbing his new creation the ‘glassychord’, Franklin soon settled on ‘armonica’ after the Italian word ‘armonia’ or Harmony. Both Mozart and Beethoven wrote pieces for the Armonica with some 200 pieces of various authors surviving from that era. While in England, after my chief Business was over, I amus’d myself, with contriving and bringing to a considerable Degree of Perfection, a new musical Instrument, which has afforded me and my Friends a great deal of Pleasure; but the Description of it would make this Letter, already too long, much longer….